South Jordan, Utah - CallTower Inc., a global leader in delivering cloud-based enterprise-class unified communications and collaboration solutions, announced today that it has purchased Appia Communications Inc., a Traverse City, Michigan based industry leader of cloud-based applications and communication services. Both companies are highly rated by customers and partners on implementations, service, along with product and technical knowledge base. Collectively, CallTower and Appia have successfully implemented and support more than 150,000 users on cloud-based communication services. For more information, please contact your local Channel Manager. CallTower exists to enable people to easily connect to transact business communications. Since its inception in 2002, CallTower has become a leading provider of cloud-based, enterprise-class Unified Communications solutions for growing organizations worldwide. CallTower provides, integrates and supports industry-leading, cloud-based, Unified Communications and Collaboration solutions, including Cisco® Unified Communications Manager, Microsoft® Skype for Business, Office 365 and Adobe Connect services for business customers. CallTower enhances customers’ strategic and operational capabilities by integrating VoIP service, mobile applications, email hosting, unified messaging, instant messaging, audio, web and video conferencing, collaboration tools, contact center, cloud services and global networks solutions into one reliable platform. 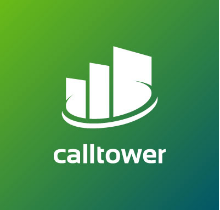 For more information visit www.calltower.com. Headquartered in Traverse City, Michigan, Appia has operations in Chicago, Dallas, Indianapolis, Los Angeles, St. Louis, Atlanta, and Ashburn, VA. Appia delivers service to customers with locations across in the U.S. and around the world. Appia has been recognized as one of the fastest-growing private companies in America (Inc., 2007, 2008, 2009, 2010, 2011), one of the fastest-growing solution providers in the technology industry CRN, 2009, 2010, 2011), and one of the top managed service providers in the world (MSPmentor, 2009, 2010, 2011, 2012). Appia’s managed solutions simplify customer operations and save capital and operating dollars. Appia customers range in size from one to 60,000 employees and from one to over 200 locations. Appia represent all the major verticals, including construction, education, engineering, entertainment, government, healthcare, legal, manufacturing and nonprofit.